So, with this EA placing pending orders will be faster, more accurate and more efficient. Inc_Lots - to increase lot when placing more than one order, default is 0.01. If 0, lot does not increase. MaxOrder - max order per click button, default is 5. Distance - distance from the current price to place the first order, default is 15. Step - distance between order to next order / next level, default is 20. 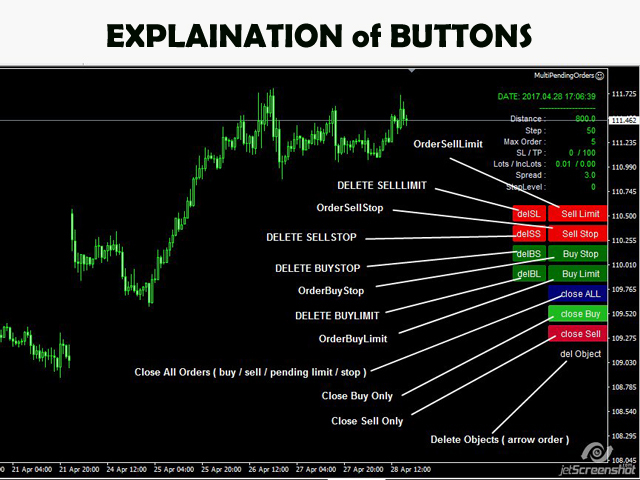 TakeProfit - Take Profit level in units of the price chart, default is 10. 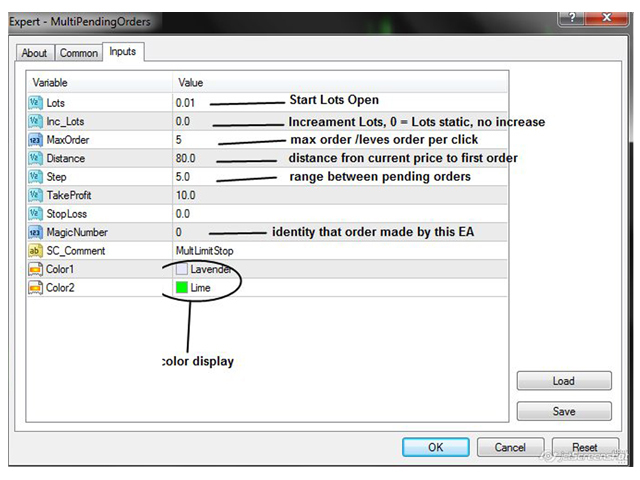 StopLoss - Stop Loss level in units of the price chart, default is 0. Check Margin - if True, the EA will calculate margin required to using lots. If False, the EA will ignore calculation. 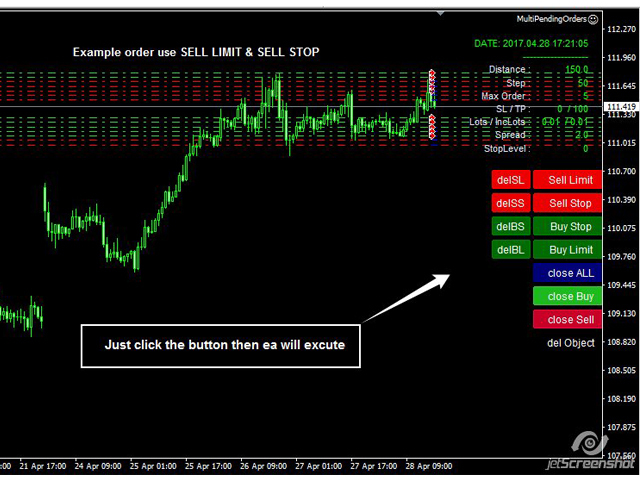 TrailingStart - the amount of points in profit for Trailing Stop to start working. SC_Comment - comment made by this EA, you can input anything. Color1 - color of displayed info. Color2 - color of displayed info. Lo he comprado y no me sale en el terminal y no puedo instalarlo. Example: there any 2 or more Buy positions with different take profit levels. When you push the avgTP button, it will make all take profits levels have the same price (1 take profit level). It will make the average take profit for the open positions (not pending orders).